Hei alle sammen!! (Hi all) We velkommen (welcomed) in 2018 with a blast of frigid weather and many, many sundogs. I sent a bilde (picture) of sundogs to my barnebarn (granddaughter), and she writes back… “that does not make sense, Bestefar (Grandpa).” I replied… look it up! Once a teacher, always a teacher. But along with the sundogs, cold temperatures, snow and winds from the arctic, we felt warmth in the fact that the Minnesota VIKINGS Football team won the first playoff game in such a fashion that they called it the Minnesota Mirakel (Miracle). Well, for those of us true Viking fans, who bleed purple, what a way to warm up. And for those of you who may not know or care about Minnesota Viking Football, that is just fine, a peis (fireplace) will do just as well. For those of you who were not able to make the January meeting, I will brief the happenings. We did have about 50+ persons in attendance, and we had a good, but brief, meeting followed by a 30 minute documentary on a North Dakota resident who found a way to get about 150 Jewish persons out of the farer (perils) surrounding them and Nazi rule. The documentary was very interessant (interesting), and there were good sporsmal (questions) and svar (answers). Thanks to those who were responsible for the film and the good lunch. At the Board meeting, we were made aware that we were one of 56 clubs, out of 300-400 Lodges, who met or exceeded their 10% recruitment goal for 2018. We will be recieving a feiring (celebration) package for all to share. Thank you, members of Vikingland Lodge 495, for your recruitment efforts. We also discussed ways in which we could make the Lodge meeting more gir mening (meaningful) for you. We decided to present you with a survey and take your veiws to heart as we entertain our meetings in future month. I will have this undersokelse (survey) ready for you at the March meeting, and we will do this as a part of our meeting. So in preparation, think of the things that you like and dislike and ways to make our Lodge meeting more interesting and meaningful. Now, as we go forth in 2018, gaining daylight minutes each day, and hopefully seeing the average temperatures on the rise, let us be tankefull (mindful) of those who are less fortunate, who have darkness in their lives and who find no warmth in their homes and hearts. Let us extend our Viking spirit and warm hearts to those in need, and we will be blessed in just knowing that we are doing what our Scandinavian forfedre (ancestors) did for others, generations ago. They set the bar high, and it should be our endeavor to reach or exceed that bar. Takk! Velsignelser (Blessings) on your New Year and on your reise (journey) through life. Brrrrr! As I write this, we are in an arctic weather phase. I venture out to do my errands, then back home to the warmth of my home. I am so thankful for electricity, home heat, garages, warm cars, etc. I often think of my parents and grandparents etc. how they survived these cold months. I hope you enjoyed the movie last month about Herman Stern, rescuing 125 people from Nazi Germany. Another reason for us to count our blessings. Next month we will hear from Cheryl Hedlund, RN on supplements in our diet. She has valuable information to assist us in getting and staying healthy. March will be our “CHILI DUMP” at 6 pm. Bring your favorite chili (preferably hot) then we put them all together in a large roaster to make the best tasting chili ever! Following our meeting, Maureen Berg will present a program on “Memory Bears.” She will turn a garment into a cuddly bear. Perhaps, a garment from Grandpa for a grandchild, etc. Hence the name Memory Bears. April brings us The Marshmallow Foundation presenting a program about rescuing and adopting pets from the pound. Please put March 4th on your calendar. Our Vikingland Lodge has been asked to host a Winter Festival, open to the public at Trinity church in Detroit Lakes. We will have demonstrations on Nordic activities, music and of course food. If you have a craft, baking skill, or are willing to assist in the kitchen, please let Carol Turner or myself know, and we will sign you up. Hours are 11:30 to 2:30 on Sunday, March 4. Lunch of soup and open-faced sandwiches will be served. So many hands are needed to make this a success. Watch for fliers/posters around town. Open to the public to spread the news of Vikingland Sons of Norway Lodge. The first Mother’s Day in Norway was celebrated in 1919 and was a mostly religious tradition. It has, of course, quickly evolved and became a family day. A traditional day to meet up and for all moms to get flowers and something sweet. Children also started observing the tradition in school and making handmade cards and gifts for their moms. Not much different in the United States except here we celebrate on the Second Sunday in May. It was first established by Anna Jarvis, with the first official Mother’s Day celebration at St. Andrews Methodist Church in Grafton, West Virginia, on May 10th, 1908. Ann Jarvis, the mother of Anna, created a committee to establish a “Mother’s Friendship Day.” The purpose, to reunite families that during the civil war had been separated. Sadly she died in 1905 before the celebration became popular. Her daughter, Anna would continue her mother’s efforts. 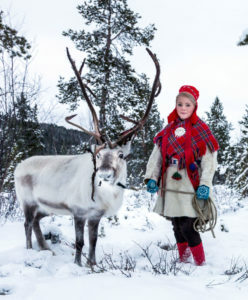 The American tradition influenced other countries, so because we are of Scandinavian descent, we Mother’s get two different months to celebrate a great tradition. Happy Morsdag February 11th and May 13th. And don’t forget your sweetheart on Valentines Day, February 14th, a day that Norway also celebrates. If you are planning a trip to Norway in February, spend a romantic night in an ice hotel. With sub-zero temperatures, you won’t need an excuse to snuggle up with your loved one. Wow, what a month. 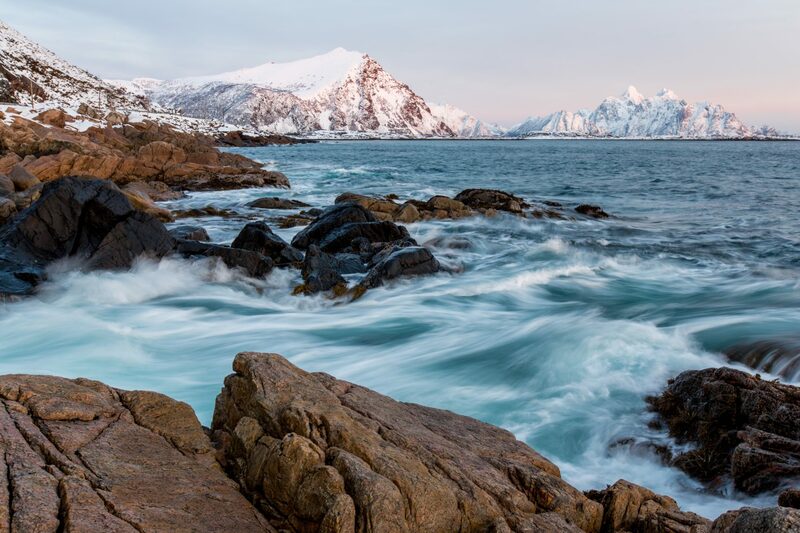 Daylight hours slowly increase as Norway emerges from its long, dark winter. So, with our warmer temps, we know spring is on the horizon for all of us. Please send warm thoughts (varme tanker) and prayers (bønner) this month to DeAnn Gotzman recovering from surgery. Cleo Johnson who is receiving cancer treatments. Brrr, I’m ready for some spring-like weather! We are going to have our Foundation fundraiser again at our April meeting with a Silent Auction. 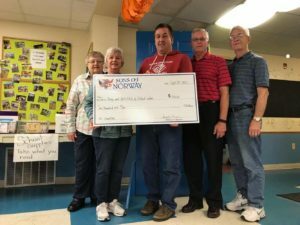 Last year, we donated to these agencies: International Foundation, Crisis Center, Fly Time, Emma Project, Boys & Girls Club, Ski for Light, Becker County Food Pantry, Lets Go Fishing, Backpack Program, and Christmas gifts for families from Lakes Crisis and Mahube. It was very humbling and gratifying to deliver those checks, thanks to all of you for your participation both in donating items for the Silent Auction and for purchasing them. I am looking forward to another wonderful fun packed Silent Auction this year. Start thinking about what you’ll be donating this year. 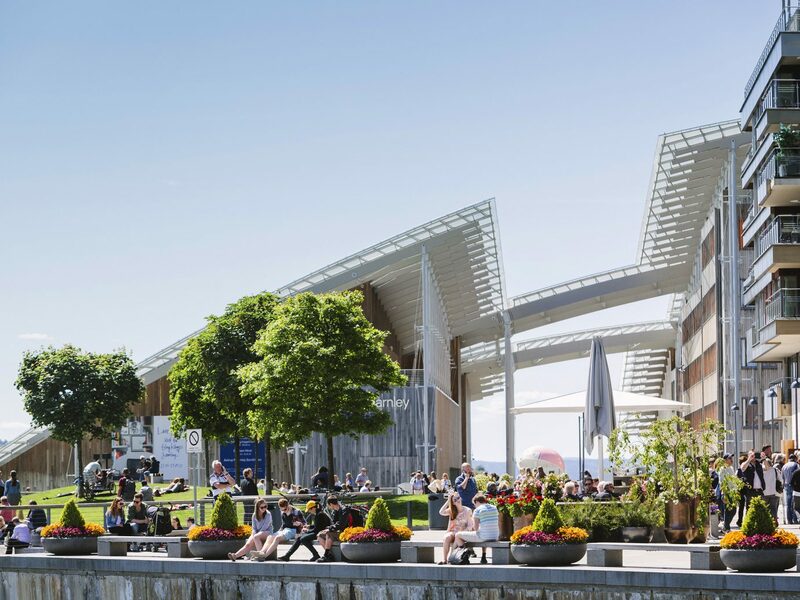 What used to be a town of ashes is now one of Norway’s most beautiful cities. In 1904, the town of Ålesund burnt to the ground after an oil lamp fell to the ground. More than 10,000 residents were without a home, and nearly 800 buildings destroyed. Shortly after, a group of Norwegian architects and designers embarked on rebuilding Ålesund. They used the Art Nouveau period as their inspiration in the redevelopment of the town. Today, Ålesund is known for having the world’s most exquisite concentrations of Art Nouveau architecture. 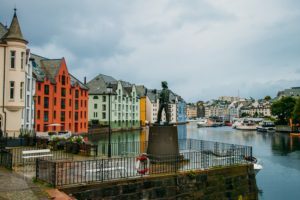 While touring Ålesund, visitors will find hewn stone buildings, crested roofs or towers typical of medieval wooden churches, and an occasional sculpted head of a Viking. 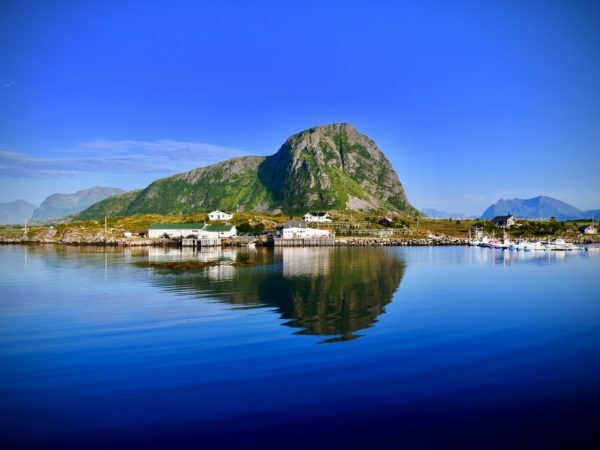 The best time to experience the charming town of Ålesund is during the summer months of April to August. 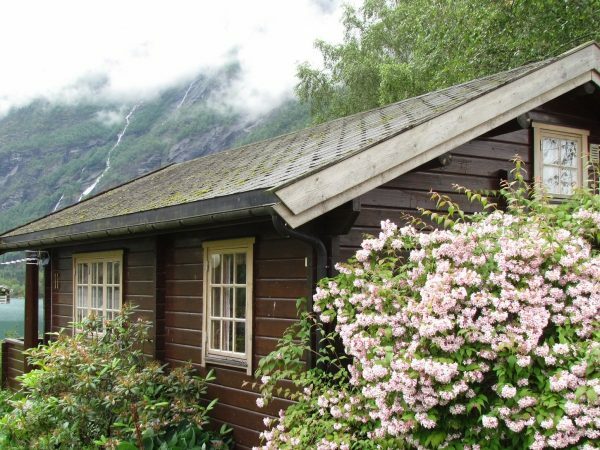 With warmer temperatures and very little rainfall, you could go hiking, explore the fjords – or just relax and enjoy the view. SILENT AUCTION: Think about what you might like to donate to our annual Silent Auction to be held at April’s meeting. SCHOLARSHIPS: Remember there are two $300 scholarships available to attend a Norwegian Folk High School. Our district also sponsors scholarships to attend Concordia Language villages this summer studying Norwegian, Danish, Swedish or Finnish. Applications are due May 10th. Contact Roger Josephson for additional information. 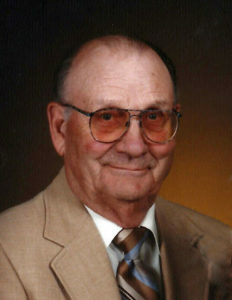 Last month Arland Wisted passed away. In our January issue, we noted the birthdays of both Lois and Arland at our December meeting. Arland was one of the founding members of Vikingland Lodge and an integral part of our community. 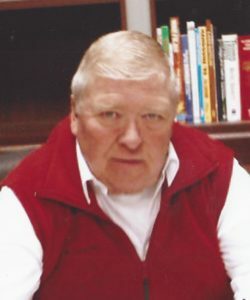 Andor “Andy” Ness passed away January 3rd, Andy. 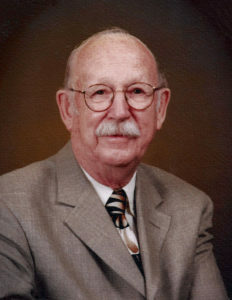 Morris Peterson passed away on January 24th, he served as lodge president from 1975-1976 and 2000- 2004. For the last several years he has been our Sunshine Coordinator. We will miss their presence at our meetings and send our prayers and support to their families. Angela Merkel tops the list of the world’s most powerful women. But Erna Solberg is more powerful than Hillary Clinton. Forbes magazine is known for creating lists. They write who earns most and has the most power. Recently a list came out of the world’s most powerful women. Forbes mentions 100 women who they think are the most powerful. 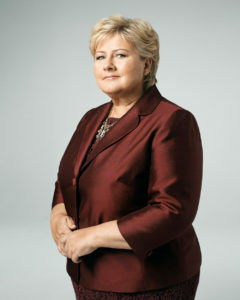 Prime Minister Erna Solberg is 46th. She appears before Beyoncé Knowles (50th place) and politician Hillary Clinton (65th place). “Norway’s Angela Merkel,” writes Forbes. At the top of the list is Germany’s leader. 63-year-old Angela Merkel is number one for the seventh consecutive year. She retains the position despite losing power during the election this year. Forbes calls her the actual leader of the European Union (EU). the UK. Third place goes to Melinda Gates, the wife of Bill Gates, founder of the software company Microsoft. Melinda Gates runs a large charitable organization that helps people in poor countries. There are many different women on the list. There are politicians from several countries, there are powerful leaders from big companies, and there are entertainers. Angela Merkel topper lista over verdens mektigste kvinner. Men Erna Solberg er mektigere enn Hillary Clinton. Magasinet Forbes er kjent for å lage lister. De skriver hvem som tjener mest og har mest makt. Nylig kom lista over verdens mektigste kvinner. Forbes nevner 100 kvinner som de mener er mektigst. Statsminister Erna Solberg er på 46. plass. Hun kommer før artisten Beyoncé Knowles (50. plass) og politikeren Hillary Clinton (65. plass). «Norges Angela Merkel» skriver Forbes. til tross for at hun mistet makt ved valget i år. Forbes kaller henne den egentlige lederen av Den europeiske union (EU). På andreplass er Theresa May. Hun er statsminister i Storbritannia. Tredjeplassen går til Melinda Gates. Hun er kona til Bill Gates. Han grunnla dataselskapet Microsoft. Melinda Gates driver en stor hjelpe-organisasjon. De hjelper folk i fattige land. Det er mange ulike kvinner på lista. Det er politikere fra ere land, det er mektige ledere for store selskaper, og det er folk som driver med underholdning. 8. plass: Christine Lagarde, leder for det internasjonale pengefondet. 11. plass: Indra Nooyi, leder for selskapet PepsiCo. 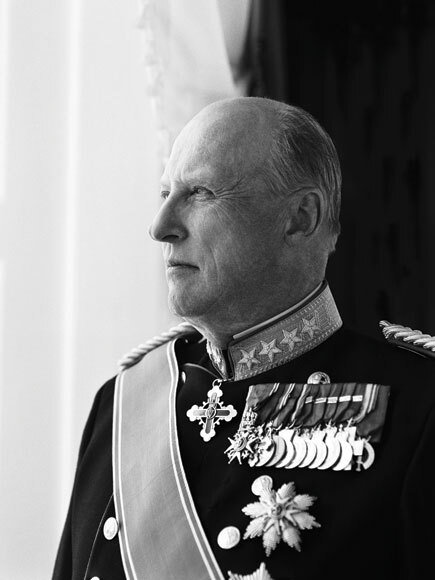 On February 21st Norwegians celebrate King Harald V’s birthday. King Harold V was the first prince born in Norway in 567 years and will turn 81 this year.